Orange Township trustees found themselves without a fiscal office Monday when both the fiscal officer and his assistant tendered their immediate resignations. Trustees are now scrambling to appoint a fiscal officer before the township falls further behind in its fiscal responsibilities. According to the township’s attorney, Michael McCarthy, the trustees have 30 days to appoint a fiscal officer. Trustees will hold a special meeting at 4 p.m. today in the township hall to discuss and possibly take action on appointing a new fiscal officer. Spitzer noted there were several reasons for his sudden departure, including the fact he wants to spend more time with his family and focus more on his law practice. As for McCarrell, Spitzer’s former assistance, Knapp said she was really disappointed to see her submit her resignation. McCarrell’s resignation also reported concerns of negativity in the township offices. McCarrell said she is grateful for Spitzer’s support to improve the situation and standing up for her when necessary. She states that the fiscal office is understaffed, even after posting for an additional assistant, the position goes unfulfilled. Knapp said that Patti Lewis, a former assistant fiscal officer under Spitzer, had offered to assist the township in the fiscal office matter. Lewis resigned in May from the fiscal office to accept a newly created Orange Township position of documents, website and cemetery coordinator after reaching an agreement with the township to drop charges she had filed in 2014 with the Ohio Civil Rights Commission and the United States Equal Employment Opportunity Commission on Oct. 16, 2017. Lewis kept her pay rate of $24.48 per hour from the fiscal office; she retained her employee benefits package, vacation and sick leave time; and her accumulated time worked at the township to determine vacation time. She was also paid a one-time payment of $5,000, but the reason for such a payment was not mentioned in the resolution or the agreement. Earlier this month, the Delaware County Board of Commissioners approved an intergovernmental cooperation agreement addendum for shared information technology services from the county to the township offices. But, the addendum excluded the township’s fiscal office due to accusations made by Spitzer toward Delaware County’s IT Director Steve Lewis, alleging email tampering. It was announced in a July trustee meeting that the accusations had put the township’s IT contract with the county in jeopardy. 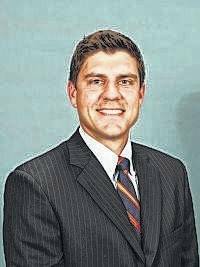 Township Administrator Lee Bodnar said Monday during the trustees meeting that he was talking with the county auditor to go back to the status quo, which involves sharing IT again with the township’s fiscal office. This entry was tagged Catherine McCarrell, D. Anthony Botkin, Fiscal Officer, Joel Spitzer, Lisa Knapp, Orange Township. Bookmark the permalink.